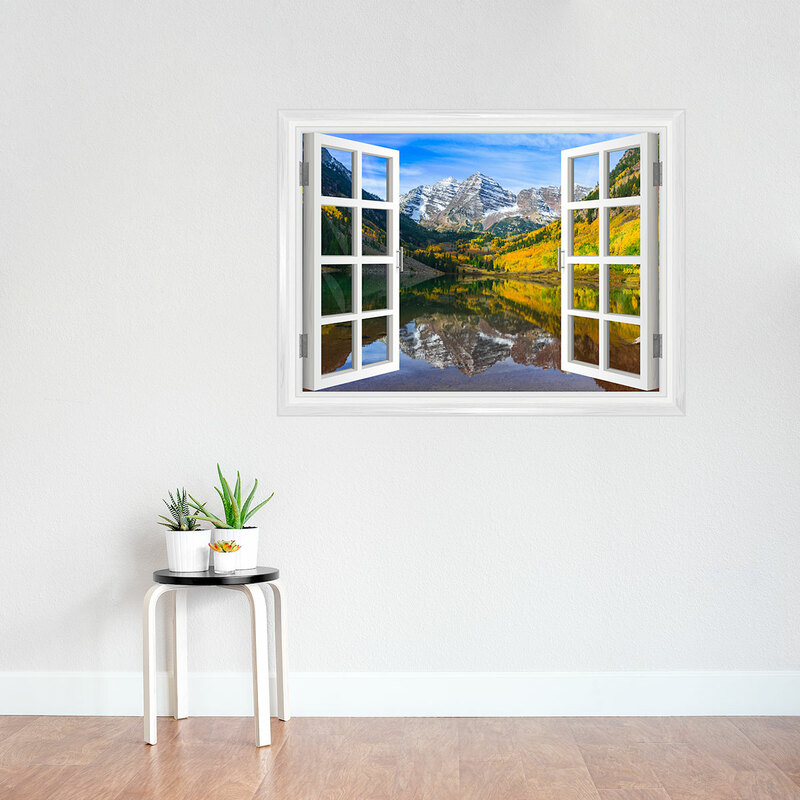 Enjoy the brisk beautiful fall days year-round with this gorgeous mountain lake window mural! Wallums window mural panels are a premium "peel and stick" slightly textured vinyl and require no paste or glue and no need to hire professional help. Installation is as simple as cleaning the wall, peeling the mural from it's backing sheet and sticking it to your wall. Our special self adhesive fabric material will not tear or crease and can be repositioned many times. When you are ready to remove the design, just simply peel it off! Each panel is 48" wide x 36" tall.